Clean and slice the leeks. Heat the oil and sauté the leeks for 5-6 min. Peel and chop the potato, stir into the leeks and continue cooking on low heat. 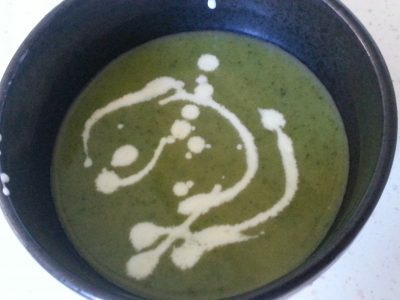 Bring to the boil then simmer for 10 minutes when the leeks should be soft. Remove the large stalks from the watercress. 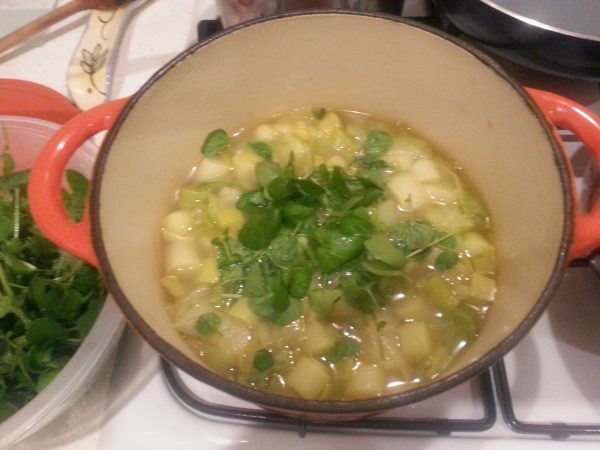 Stir-in the watercress and cook for 10 more minutes.